23-year-old Katie Kropas went to the hospital with her grandmother after strange stomach pains got the best of her. There, she found out she was nine months pregnant. 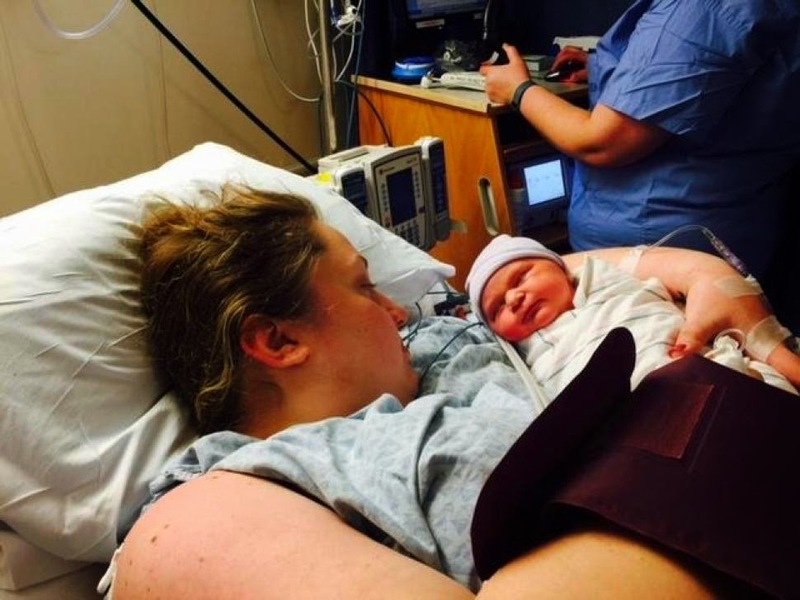 1 hour later, she had been delivered of a 10-pound baby successfully and with no issues. Wonderful right? Even the mother, who lives in Weymouth, Massachusetts, was just as shocked. "At the time, I was like, this has got to be a joke, but I had no idea what to think." When Dan Keefe, her boyfriend of two years, learned what was happening he immediately called Kropas' mother, Karen, who thought he was kidding. Reportedly, Kropas was on birth control, had relatively regular periods and attributed her weight gain to holiday eating. In an interview with the New York Daily News, Kropas said people in the hospital have been joking with her about not realizing she was pregnant. A woman not knowing she's pregnant until she goes into labor -- otherwise known as "cryptic pregnancy" -- isn't as rare as one might think. Scientist Jena Pincott wrote in a HuffPost blog in 2011. "Quite simply, [women] do not know they're pregnant because they have no symptoms -- no weight gain, no nausea, and little to no abdominal swelling. They may still have their periods, or have always had irregular periods. If they have symptoms, they're so subtle as to be easily mistaken for something else. Indigestion, perhaps." For Katherine, who goes by “Katie” and works as a catering supervisor at Gennaro’s Eatery in Quincy, there was no morning sickness or other clues that she might have been pregnant over the last nine months. A few days ago she noticed that her ankles were swollen, but she figured it was the 50 hours a week she’d been spending on her feet during the busy holiday catering season. Wow, there were no symptoms. Didn't the baby kick at the later stage. I am happy mother and child are doing well.